The beginning of a new year is the perfect time to reflect on your previous year of business and examine if there were any successes, challenges and themes you want to expand on. I always look forward to the wave of renewed energy a new year brings. Each January I’d sit down with my annual reports and a pad of paper and diligently pour over my files to tally up my deal stats. I looked at the total number of refinances, purchases, high ratio and conventional deals, alternative and private lending, which lenders I used the most, whose products I barely had the chance to offer and much more. Then I’d plan out a marketing budget, set goals and off I’d go, ready to crush the year ahead with fearless passion. I’ve been a self-employed entrepreneur for 18 years, but it wasn’t until January 2016 that I realized that as great as I thought I was doing, I was actually missing a very vital step if I really wanted to take my business to the next level. It’s fine and dandy to know the statistics of the files I’d done, but I needed to take the analyzing to a deeper level and see what the clients I worked with shared in common. In January 2016, I did just that and realized that 60% of my 2015 clients were either divorced or separating. Like most of us, I was always too busy working to take a step back and figure out where the next deal would come from. Wow, what a missed opportunity to market to people in this demographic. I felt like I’d hit a gold mine! I knew I was onto something but had no idea how to proceed. Not only was more than half my previous business from couples separating, they were also my favourite clients to work with when I really thought about it. These people were going through the most stressful time of their life, and I was able to be one tiny piece that helped them rebuild and move forward. They were grateful, but so was I. This was who I wanted to work with, so all I needed to do was figure out how to shout it from the rooftops and make sure I targeted these clients! After a little research I realized what I really needed to do was become the expert in being able to help divorcing clients. I obtained a credential called Certified Divorce Financial Analyst and I started to tell the world I was there to help these clients. It didn’t take long for me to realize that I should have had a niche well before this point because the phone started to ring as soon as I rebranded myself as a divorce expert. When I would be out networking and was the third mortgage agent to stand up and introduce myself, now I had an added bonus of having a unique ask for the others in the room. Not only did I have a more lasting pitch than the usual, “I have many lenders and products,” like the other two people who stood up before me said, I also had a reason to make connections outside of the normal circle of influence of realtors and financial planners, whom we have a tendency to chase. I connected with mediators, divorce lawyers and therapists near me to build strong referral networks. The third reason why I think niche marketing makes sense, besides having a unique service to help stand out and being able to partner with other professionals you may not have thought of, is that your marketing content just doubled! I post things on my social media about budgeting as a single person, cheap girls’ nights out, self-care for you, protecting your credit scores and more. Now you can not only educate your clients and referral sources on mortgage products (who really wants to sell on rate anyway and how many times can you blog about penalties? ), you can now tap into limitless content to educate your target market. Let’s explore setting up a new niche to target people who want to Age in Place. Elderly person/couple, owns current home, doesn’t need full-time nursing home help and would ideally like to live in their current home instead of considering a retirement community. A key thing to identifying this client is to also realize you may need to market to their children, a.k.a the Sandwich generation. I am part of this group. I’m in my late thirties with a school-age kid at home and my in-laws who have renovated our basement into a two-family home so they could sell but not move into a retirement home. We are three generations under the same roof. So when looking at your ideal client, really dig deep to make sure you explore all possibilities of who you will be dealing with. For this scenario consider who also works for your ideal client. Have something that helps you stand out from others who market to the same clientele. Be educated and become the expert in your area. Love the type of clients this niche brings you. Do not pick a niche where you hate the products you have to offer. For me, I could never niche into commercial mortgages because I hate doing them! If you are going to live and breathe this niche, then do what you are passionate about. Be a resource, not a sales pitch. Anyone can shout, I’m great, pick me. Back it up with quality advice that helps your clients and has them sending you referrals. Go and review your 2017 files. Are there any patterns you see there? Start with picking the 5 or 10 favourite clients/products that you worked with and see if there are any connections. Did you really enjoy doing private deals? Did some of your clients need hand-holding as first-time buyers? 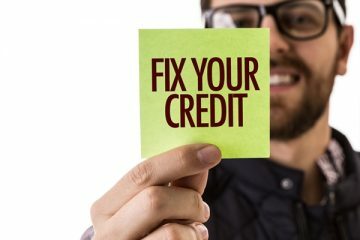 Who benefited from the credit repair advice you gave them? Go out and make 2018 the year you pick a niche and take your business to the next level! An entrepreneur for 16 years, Sherry Corbitt has dipped her toe in the water of real estate journalism and marketing but her real calling was found seven years ago when she became a mortgage agent.